It is important that your cap size fits the bottle neck finish in order to obtain proper sealing. You will find most neck finishes are listed by two numbers. The first number corresponds to the cap diameter (in mm.) The second number stands for the height and thread design of the neck or cap finish. For more information regarding cap and neck finishes check out our Cap and Neck Information page. Liner type consideration is an important part of the cap selection process. Some liners tend to withstand chemicals better then others, while other liner material types are better used for moisture barriers. Some of the more popular liner types include: F217, PE foam, PV (poly vinyl), PS22 (plain or printed), induction liners, and Poly-Seal � Cone Line. For more information regarding liner types visit the Cap Liner Type Info page . Thread Caps: A closure with an uninterrupted spiral ridge inside the closure. The main purpose of a threaded closure is to match with corresponding bottle threads to provide sealing and resealing of containers. Threaded caps are available in a variety of styles including smooth, ribbed, and dome cap. Snap Caps: A closure held in place by a bead (a depressed or raised circle or ring around a container or closure) rather then a thread. Lug Caps: A closure with raised internal impressions that inter-mesh with identical threads on the finish of the container. Does your product need a dispensing cap? 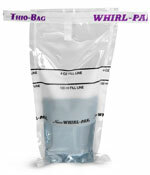 Shrink Bands : PVC sleeves, which slide over either the packaging, closure or in some cases the whole package. Shrink bands make products tamper evident increasing the security of your product . For more information regarding shrink bands, visit the Shrink Band Info page . Induction Sealing : A specialized laminate containing an aluminum foil and a plastic heat sealable film which hermetically seals a container through the use of an Induction Cap Sealing Machine.